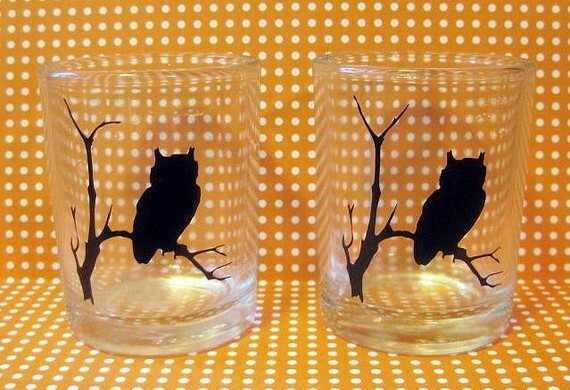 Owl-themed gifts. Why not? It’s a pretty popular trend, and has been for the last four or five years. It’s a little less twee than other birdy-themed gift ideas, and the neutral palette makes it ideal for the nature-loving gal in your clique. I for one, have a nearest and dearest that would flip for this. Every person should have a set of dessert plates in their household. There. I said it. I happen to have two sets – both gifts – that I break out when I’ve got company over and my everyday Corel plates just don’t seem luxe enough. 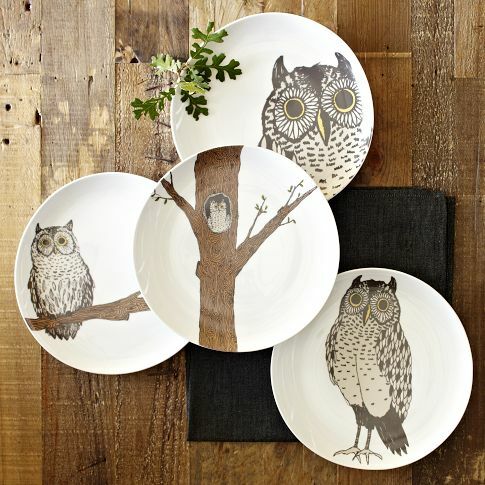 This porcelain set from West Elm is whimsical and a little artsy to boot – perfect for housewarmings, mother’s day gifts, or even a hostess gift for a particularly special occasion. As I’ve said before, I’m hesitant to do too many Halloween-themed posts because I don’t really see it as a gift-giving occasion. 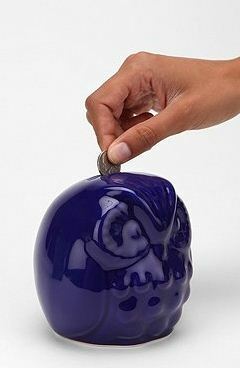 Hence why most of my posts tend to be cheapie items – and although these don’t SCREAM Halloween, they certainly whisper it. Buy the set and give them to your parents when you bring the tykes over for treats, gift the host of the fabulous Halloween party you’re heading to next week, or just throw them in a gift bag with your October birthday friend’s present. At this price, you can’t go wrong – bonus points that it’s got year-round appeal. I couldn’t do an owl post without referencing the most famous owl around these days: Hedwig, from the Harry Potter series. This pricy but uber pretty iPhone skin comes from the WB Store. 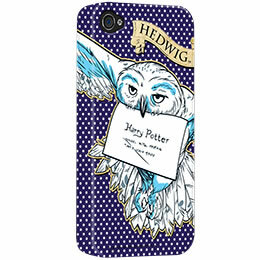 It’s a cute play on the ‘message delivery’ component of the Harry Potter owls, and your phone. Definitely for the diehards out there. When I started writing this post I knew that ModCloth would be a natural fit to look for inspiration. Indeed, typing the word ‘Owl’ in their search bar brings up multiple pages of results, from clothing to accessories to housewares. I was intrigued / attracted to these super cute aprons, which are the perfect blend of kitsch and clever for the baker in your bunch. 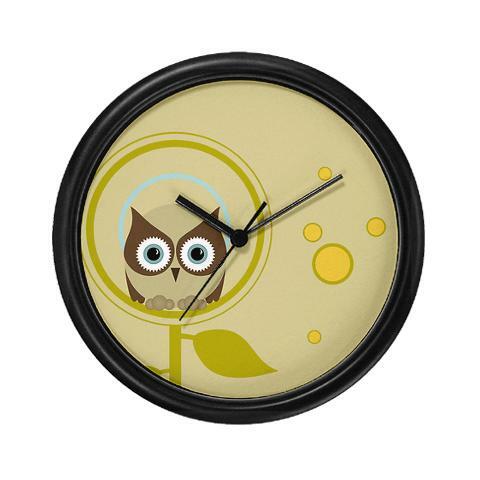 Speaking of the kitchen, this quirky clock from CafePress.ca is a great find at a great price for a housewarming or houseguest gift. It’s not shouting for attention, but it’s the type of thing you’d expect to see a set decorator put in a really fun character’s condo. While these days we apply cutesy owls to just about everything, they also have connotations of stoicism and academia. 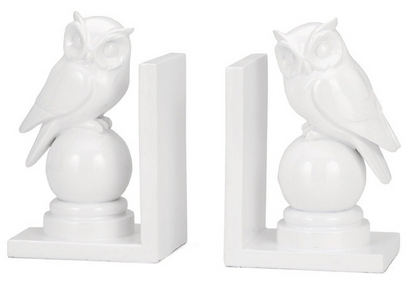 For a hybrid of modern and musty, check out these sleek polyresin owl bookends from Urban Barn. Picture ’em on a lacquered black bookshelf or high up on a wall-mounted shelf in an office. Pretty chic. You may be wondering…what about jewelery? Quite frankly, every store on the planet has owl pendants, earrings, and rings right now. Head to your favourite online or in-store boutique and I promise you’ll find some options. And if you don’t, drop me a line and I’ll be happy to fill you in on a few spots I spied some pretty pieces. I love the dessert plates!